Last night the temps in GHSP were indeed in the negatives and “felt like” close to -20 degrees. The whole park is basically a shiny, beautiful Graysicle right now. While this is brutal in bouldering terms, this is not at all out of the ordinary for the GHSP winter season. These terribly cold winter temps are what make GHSP the ideal and best summer boulderfields in the Southeast. 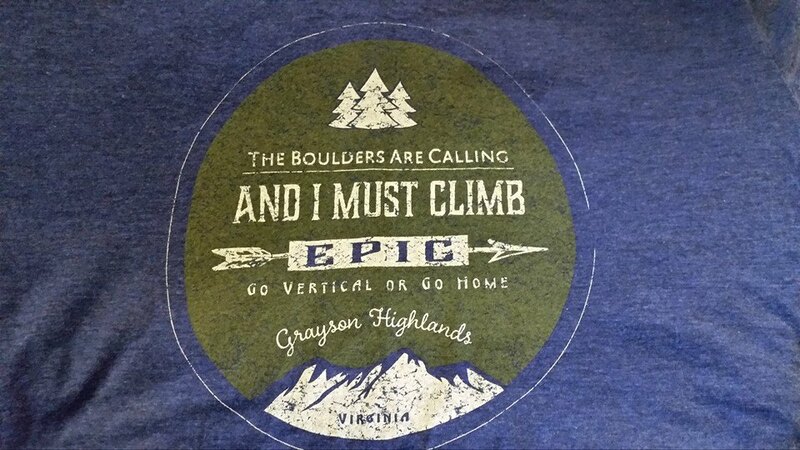 Looking forward to the spring thaw, and to kick off the upcoming spring bouldering season, I learned this morning that GHSP will be carrying some awesome Grayson Highlands Bouldering shirts! While planning your spring trip, if you are able to pick one of these shirts up please do so! Purchasing one of these shirts will go a long way in supporting the most climber-friendly, welcoming, beautiful and boulder-strewn State Park in Virginia. Pick up your Grayson Highlands Bouldering shirt at the Park Office or Visitors Center!